So things have been pretty normal for the most part since the last update. Except for one little hiccup. About 10 days ago I was washing dishes after dinner and the sound of the running water got the better of me and my bladder. I had this sudden urge to urinate (I probably hadn’t been to the bathroom in 3+ hours, so I knew that my bladder was getting full.) I made a mad dash for the bathroom and along the way, enough urine leaked out that I had to change my pants and underwear after emptying my bladder in the bathroom. Not fun and not expected. Thankfully, I was at home instead of standing next to some water feature in a crowded mall. Not sure what was up with that, but it wasn’t something to lose sleep over because 98% of the time, I’m dry–even now when I sneeze or cough. 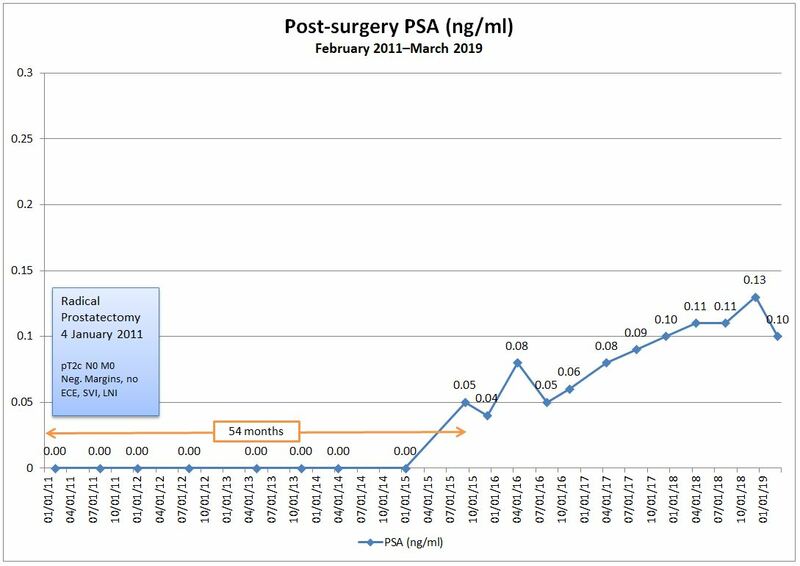 Next month I have my 18 month follow-up (mid month), so we’ll keep our fingers crossed that the PSA remains undetectable.